remove the charcoal canister, re-route vacuum hoses, remove the smog pump if it still has one on it. Here are a few pics I had from my 79 403. The top one shows that I removed the EGR valve and made a blockoff plate from some steel plate(ignore the yellow arrow..that was for something else). Use an EGR gasket under the plate. Plug the pipe on the carb labeled "egr". 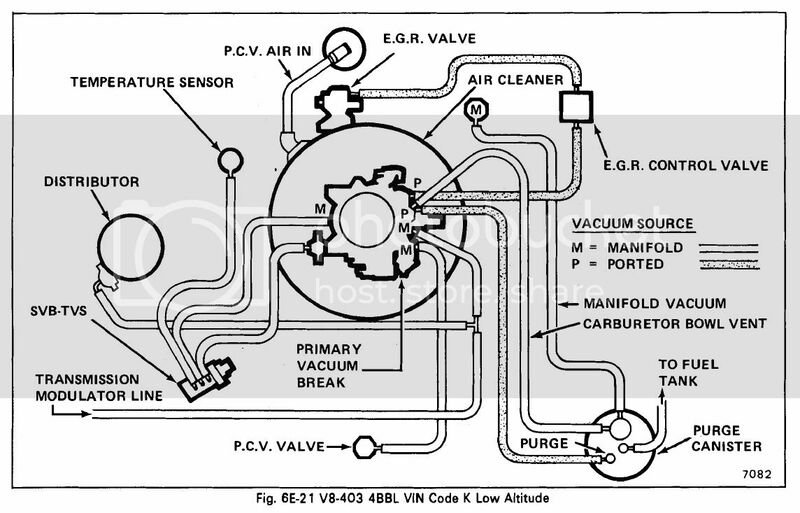 The 2nd pic shows the vacuum hose routing illustration for a 79 403. You don't have to connect that SVB-TVS thing. 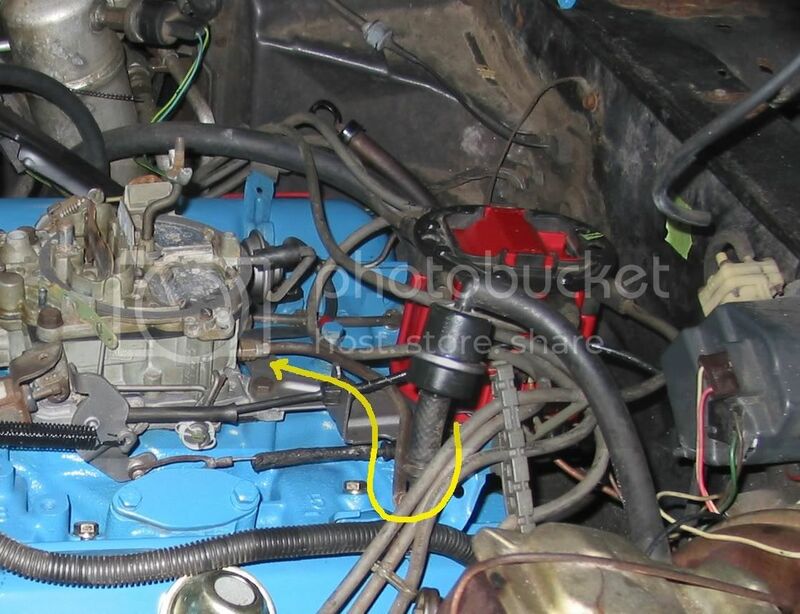 Instead, connect the rear vac break hose to the manifold vacuum pipe that's on the back bottom of the carb. 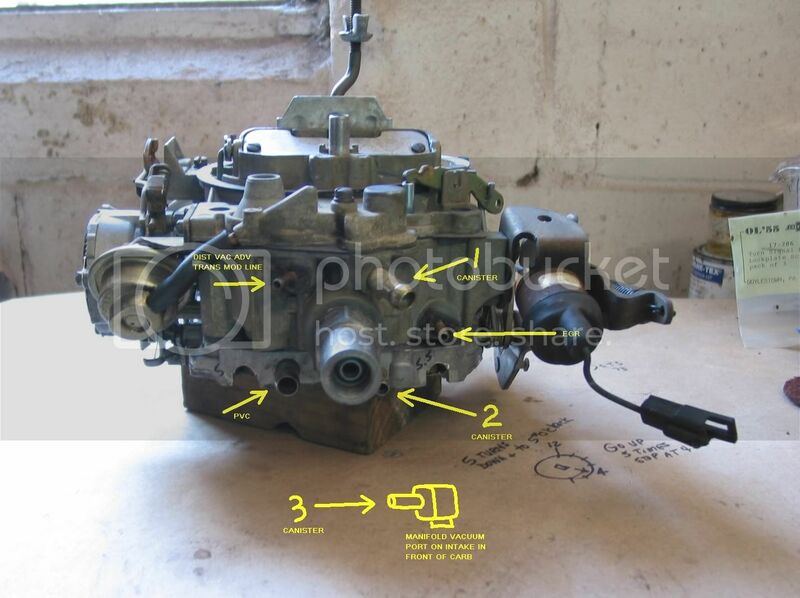 And the 3rd and 4th pics show where the vac hoses go on the carb and charcoal canister. The numbers on the canister relate to the numbered ports on the carb. This works fine if the charcoal canister is in good working order. My canister apparently has a bad check valve which made my engine run rich. So, I disconnected the canister hoses at #2 and #3 from the number #2 and #3 vac sources on the carb and intake and plugged those ports. Those vac source were sucking in too much gas fumes into the carb and intake causing a too rich condition. The #2 and #3 canister ports can stay open or run hoses from them to under the car for venting. 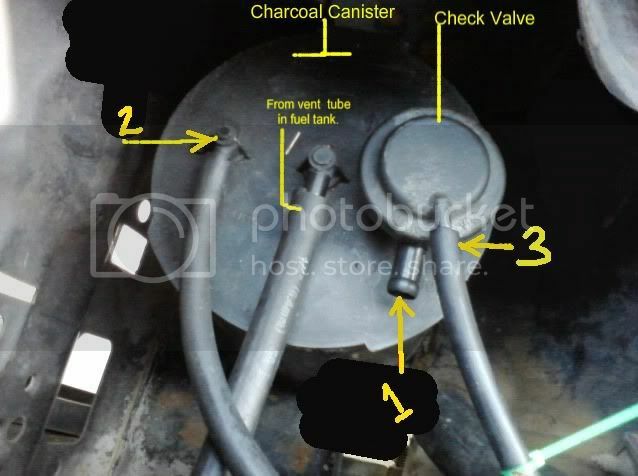 I kept the hoses for the vent line from the gas tank and the fuel bowl vent(#1) connected to the canister. Works very well that way. Freer flowing exhaust, remove EGR, and adjust the distributor advance to match and you should be done (obviously for more performance rear gear swaps, compression and cam changes are going to be in the mix). I leave the charcoal canister on all of my cars as all it does is keep tank fumes from spreading, which goes a long way towards keeping people from complaining about your car stinking and does not harm performance in any way. X2 mine was already de-smogged, but I'm putting the Charcoal Canister back in for sure. Is there any harm in removing the charcoal can.. plugging the bowl vent with a cup plug.. and running a vented gas cap? 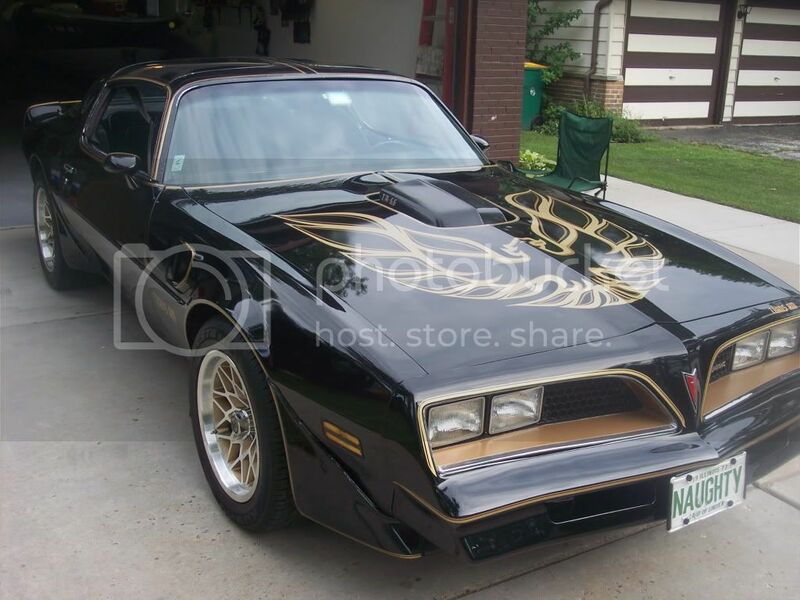 You can never plug the bowl vent on a carburetor. having the fuel bowl at the same pressure as the air above the air horn is essential. No need to remove the EGR Valve, Just cap off the vacume source, the other vacume hoses can stay on, they have no effect on performance.